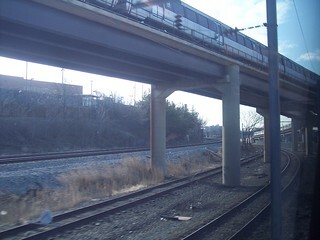 As the Metro passes overhead some of the tracks head east toward the Northeast Corridor. 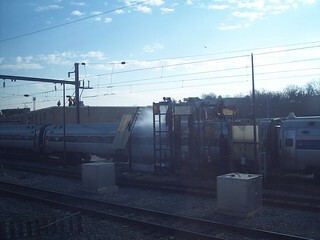 Some Amtrak coaches get a bath. 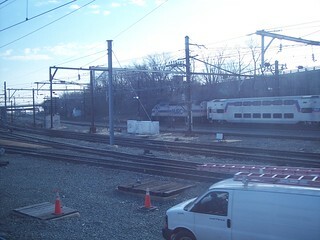 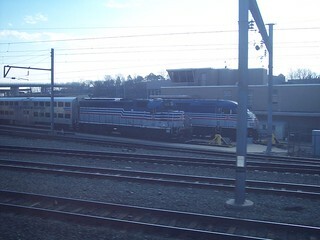 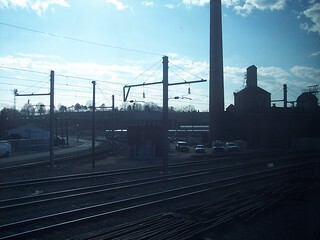 The Brunswick Line merges with the Northeast Corridor.